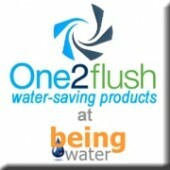 I watched this movie with my 3rd grade son and he finally comprehends bottled water’s negative impact–from the moment the water is pumped from the ground to the moment the empty bottle is disposed of. That it’s not just about how the industry impacts the environment, but his future health and well-being. Possibly his very survival. As a parent, I want to protect him. Isn’t life challenging enough already? Bottom line: I urge you to watch this film with your family and then share it with as many others as you can. Learn more…. NOTE: I am not a professional movie reviewer. 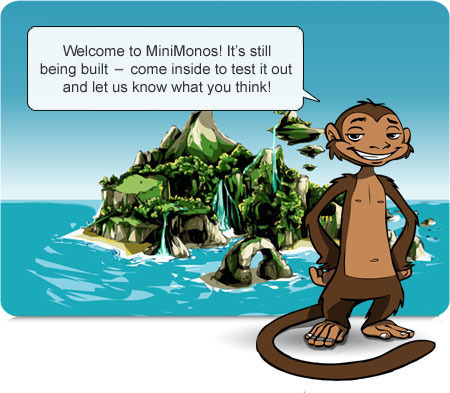 MiniMonos is a brand new virtual world [still in alpha stage] for kids to monkey around in. With their own MiniMonos monkey avatar, they can choose a treehouse to live in, explore the beautiful island, chat with other monkeys, and even participate in the kids blog. Games include catching clouds to create wind energy, cleaning up the trash in the water, recycling into the right bin as stuff falls from a conveyor belt with much more still in development. Kids are encouraged to provide feedback in an effort to make it their world and take special care of it. It’s not flashy or fast-paced, but it’s more than lovable. My third grade son plays on the old laptop in my office and I can play along as another monkey character (Lucy) on my computer. Turns out this is a place he feels he can boss me around in and he really enjoys that we can just hang out and explore together.